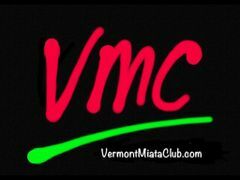 The following steps must be completed in order to join the VERMONT MIATA CLUB. We’ve tried to make it easy to join. Click the New Member Application link to open the application form. Complete the application form, print and sign the form. Either pay by PayPal on the site or write a check for $25.00 for the member dues, plus any costs for name tags payable to Dan Gaffney (our money guy). Please note VT Miata Club in the memo section on the check. Mail the application and the check to Dan Gaffney, 771 East Bakersfield Rd., Bakersfield, VT 05441. When we receive your application and payment we’ll send you login information to the members section and a new member kit.